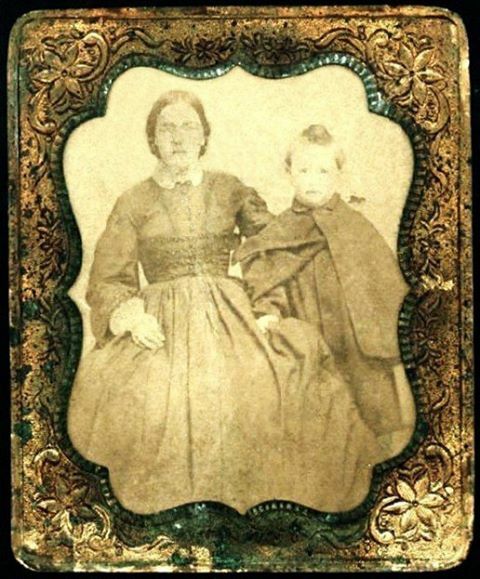 Portrait of my great-great-grandfather, Paul Heinrich Albert Gmelin AKA Albert Gmelin (1842-1903), with his mother, Christiane Luise Keppler Gmelin (1805-1867), c1850. At age 25, Albert left his native Pfullingen, Württemberg, arriving in New York on June 5, 1867. The first news he would have had from home was that his mother had died on June 2.